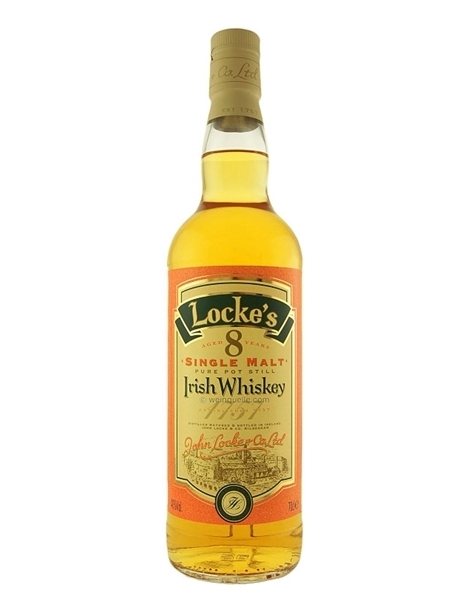 Lockes 8 year old single malt (~€42) was first released in 2000 and is double distilled in traditional pot stills. A small percentage of the malt is peated and is very subtle on the palate. Using whiskies aged between 8-10 years it is medium bodied with plenty of fruit and spicy oak. The brand is named after the Locke family who owned the Kilbeggan Distillery from the 1840s to when the Teeling family took ownership in the 1980s.